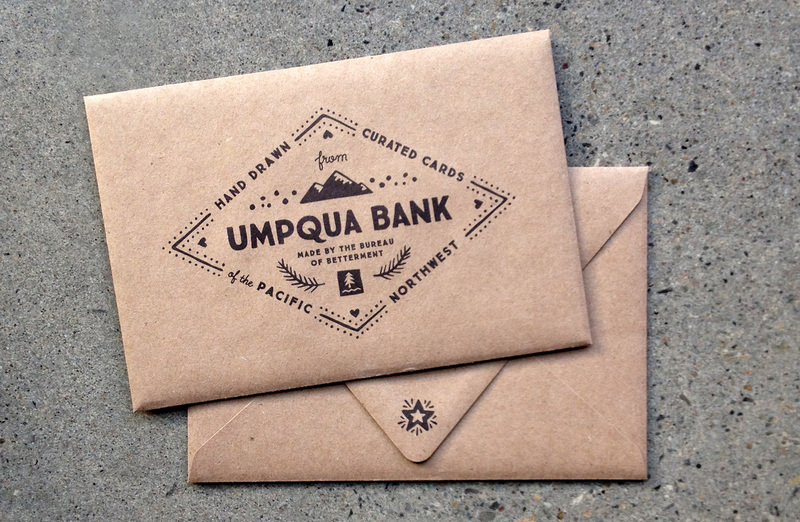 Here is the second in a series of postcard illustrations I created for Umpqua Bank. A total of six cards were designed so smaller sets could be mixed and matched and handed out at events including the Portland Business Journal Luncheon and the Seattle Design Series. A sponsor-focused envelope was paired with them to emphasize that the cards were created specifically for the young and forward moving audiences they would be distributed in. 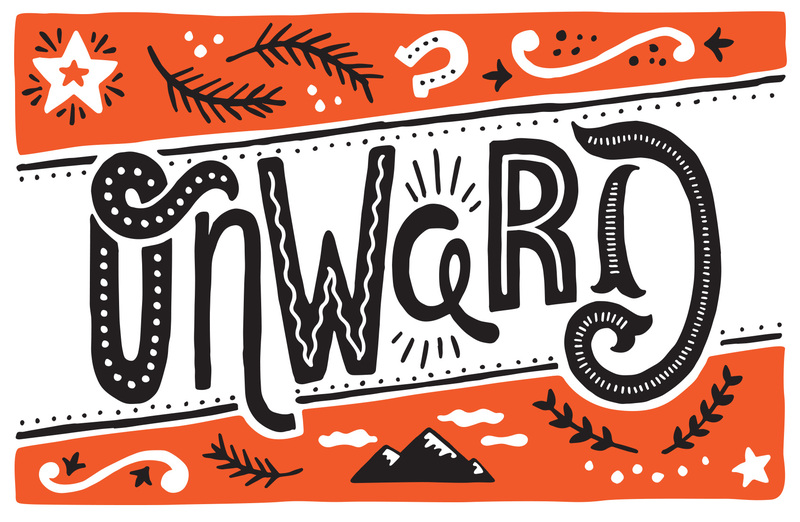 This one was particularly fun because I tapped into my roots growing up in rural Central Oregon for a cornucopia of western style lettering. Yes, I rode horses. Yes, most radio stations played country music. Yes, I imagined I might have been Laura Ingalls Wilder in another life. Onward you intrepid pioneer!